Pony of the Americas Breeders and Stallions Directory - O Horse! POA breeding and training facility. Lessons. Show coaching and instruction. I have been showing for 15 years and have trained all my horses. I offer training, lessons, boarding, and breeding. I can also train your horse for halter, showmanship, loungeline, in-hand trail, english, western, jumping, and patterns. 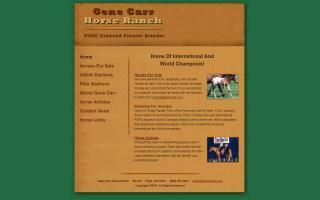 Gene Carr Horse Ranch is a leading breeder of International Champion Pony of the Americas (POA) and offers one of the largest selections of POAs in the world. Phillips Farm is located in northeast Texas approximately 50 miles NE of Dallas, Texas. 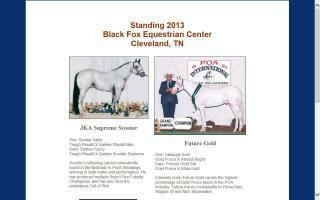 We raise registered AQHA, APHA, and POA horses for pleasure and performance. Phillips Farm strives to provide the best quality horses in pedigree, disposition, and athletic ability. Great horses with trainable disposition and willingness to learn are very important to us. Home of POA stallions Santee Cortez & Santee Statesman, AQHA stallions Zippo Pine Bud & Whatamos, and AQHA/APHA/PtHA stallion Zippos Royal Spirit. Horses for sale. The Tennessee Stud & Equestrian Center is a full service stable and breeding facility on nearly 100 rolling acres in a valley of the Smoky Mountains of East Tennessee. We offer boarding and training of horses and ponies, riding lessons for children and adults, sales and leasing of horses and ponies, and showing and coaching of students at shows. Our specialty is hunters and jumpers, and we have consistently trained year-end award winning horses and riders, but we also offer instruction in basic horsemanship, safety and horse care and management. We provide services to pleasure riders as well as to our show team. Our pastures and woodlands are open for trail riding to our clients. The Tennessee Stud sits in one of the most picturesque areas of the country, with breathtaking views of the mountains. Registered Ponies of America (POA) and crossbred hunter ponies are the focus of our breeding operation that we affectionately call Ponyville. 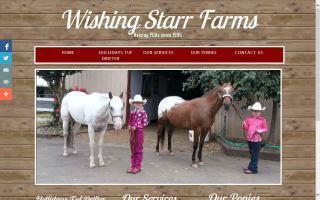 At Wishing Starr Farms, we strive to produce the best POA ponies possible. To us, this is a pony with the conformation to win at halter, the movement to be a comfortable ride, and the disposition and temperament to become a wonderful addition to your family. 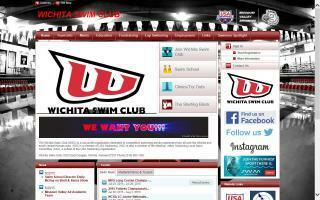 Specializing in pony & miniature (mini) tack and youth equipment. 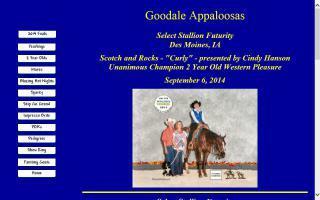 Training, breeding, showing and sales of Appaloosa horses, POA's and more. Let us help you into the winner's circle.